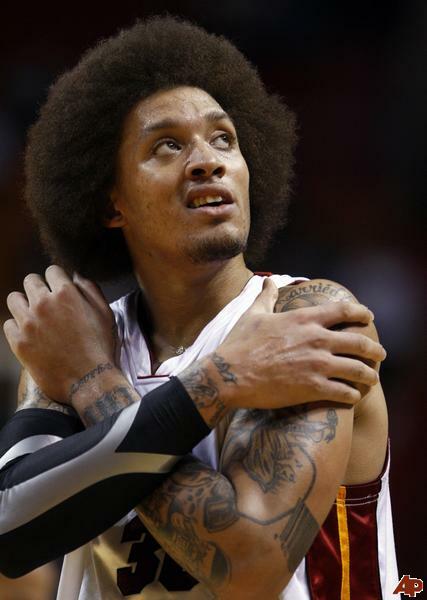 Jerry Zgoda got some rich material for today’s story on the Michael Beasley non-trade. What follows are a few of the most choice quotes. But you should read the article in full. I’m content with the Wolves’ inactivity at the deadline. Acquiring Jamal Crawford could have created as many problems as it would have solved. Can “Michael” learn how to combine his carefree and prolific jumpshooting with defensive focus? This season, it has often been one or the other. In games where he was locked in defensively (Oklahoma City, Miami, Dallas…) his jumper failed him. In recent games where he’s lit it up off the bench, he looks relaxed on D. It’ll be interesting to see how Beas plays out the rest of the season, with trade talks out of the picture. If the Wolves are going to make the playoffs, he’ll probably have to be a factor. The Wes & Martell minutes are not good enough to get us there.